We can think of no better way to reach our early cancer detection goals than to work side by side with industry and community partners. Through sponsorship, we make you part of our team, and you agree to sponsor and support us in bringing early cancer detection tests to the world. Everyone wins. And your organization will be affiliated with a great cause and benefit from marketing opportunities within the local community. The Village Doctor of Woodside has been a longtime supporter and sponsor of the Canary Challenge, providing top medical support during the event. 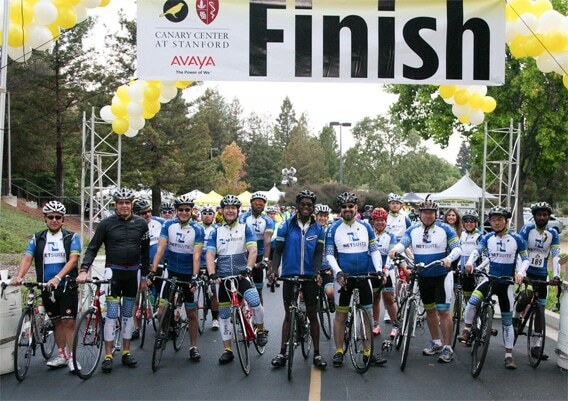 The Canary Challenge is our biggest yearly fundraiser — it’s a day-long event to raise funds for the important work we do at the Canary Foundation and it’s open to riders and their families at all levels. Started in 2011, the Canary Challenge now has more than 1,100 riders every year and has raised more than $2.5 million. Netsuite employees line up at the start line for the Canary Challenge. Sponsors can get involved in a number of ways: Be an event sponsor at different levels (Gold, Presenting, Title), or sponsor a corporate team, a rest stop, or kids’ ‘zone, or provide in-kind donations of goods and services. The benefits? You’ll get to associate your company’s brand with the Canary Foundation — the world’s only non-profit solely focused on early cancer detection. To learn more about sponsorships, visit Canary Challenge. The Canary Foundation Early Detection Symposium, now in its tenth year, offers a great opportunity for corporations to sponsor attendees, fund meals or event signage. This symposium brings together the best minds in science, technology, and research to Stanford University’s campus to discuss, debate, and learn about early cancer detection techniques. This invitation-only event serves as a forum for members of the extended Canary Foundation Network to meet and share their successes, challenges, and visions for the field of early cancer detection research. During the symposium, more than 200 scientists and researchers work together to generate and optimize strategies for discovery, validation, and dissemination of tests for early cancer detection. 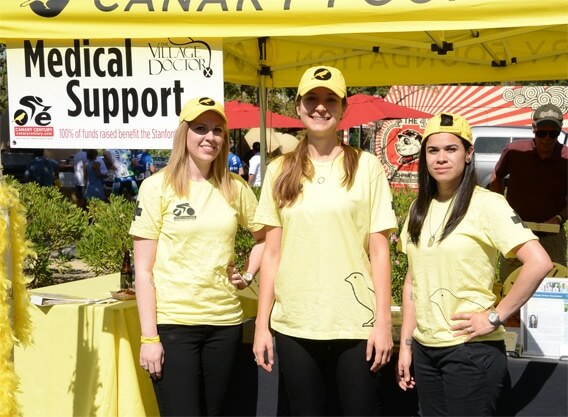 Invited members of the Canary Foundation Network are encouraged to participate in this unique opportunity to meet and interact with fellow teammates, share ideas and resources, and build new collaborations. For more information on becoming an event sponsor, please contact us.